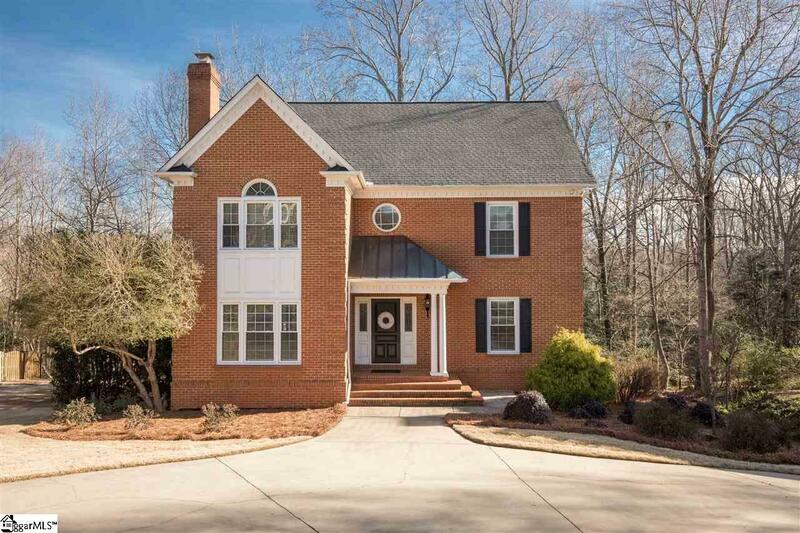 Charming all-brick traditional home in the heart of the established River Walk subdivision with easy access to award-winning schools, shops, restaurants, healthcare, I-385, I-85, GSP International Airport, and downtown Greenville. 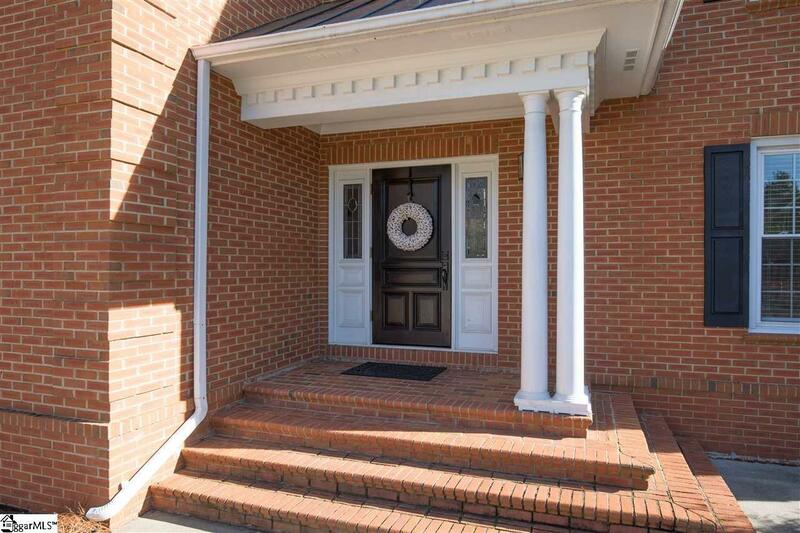 311 River Walk Drive features the perfect blend of charm and many recent updates. The floor plan allows for easy flow in the main living, entertaining and outdoor areas. 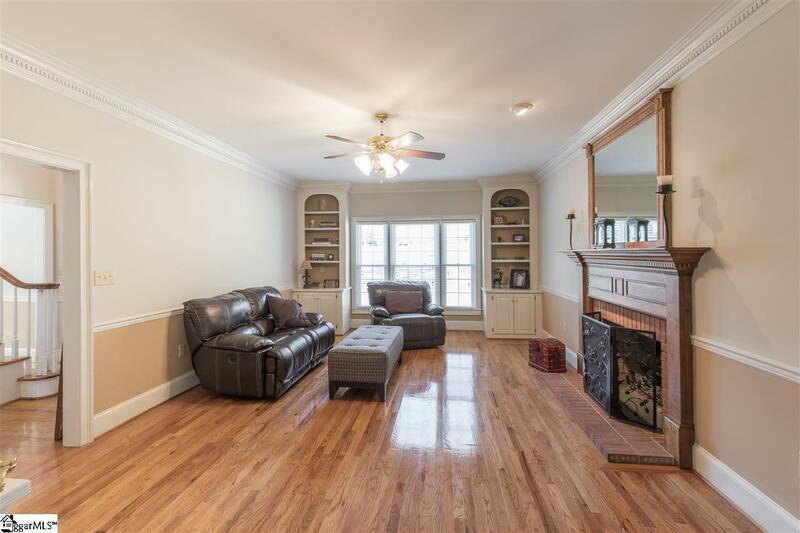 On the main level, youll find a welcoming two-story foyer with beautiful dentil moulding, a living room with cozy, gas-log fireplace and bookshelves, formal dining room, large kitchen with lots of natural light, white cabinetry, island, separate breakfast area and pantry. Rounding out the main level is a half bath, laundry area and beautiful, light-filled sunroom located off the kitchen with glass shelving. French doors located off the sunroom lead to a beautiful screened porch and spacious composite deck both with views of the private backyard with mature trees, landscaping and creek. Upstairs youll find a spa-like master suite with trey ceiling, bath with jetted tub, separate shower, double sinks with updated faucets and a large walk-in closet. Two additional bedrooms and a large hall bath are also located upstairs. The lower basement level has an additional bedroom, full bath and bonus room with sink. Additional perks include a circular driveway, two-car side-entry garage with workshop area and extra parking or entertaining in the patio area underneath the deck. 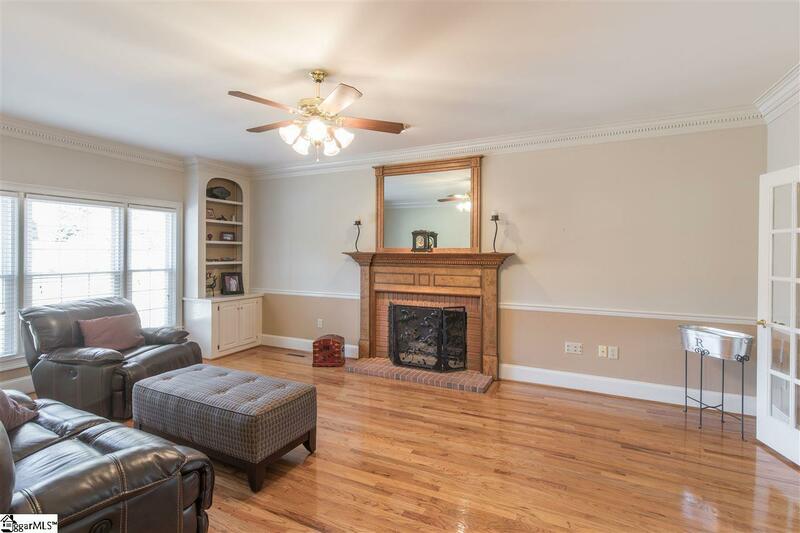 Throughout the home youll find many special touches beautiful hardwood floors, dentil moulding and chair rail, built-ins, wooden mantel and French doors. During the sellers ownership, approximately 100k has been spent on updates including: all interior walls and ceilings freshly painted, screened porch and composite deck, Bosch dishwasher addition, updated exterior and interior light fixtures and fans throughout, updated bathroom toilets, faucets and shower fixtures, fireplace interior and exterior maintenance with new decorative chimney cap, disposal and kitchen faucet, roof and gutter replacement, garage door replacement, double-paned and double-hung windows and three French doors and more! River Walk has many wonderful amenities including 4+ miles of trails, clubhouse, fitness center, tennis courts, pool and playground, as well as many neighborhood social events! Zoned for award winning Monarch Elementary, Mauldin Middle and Mauldin High School! Transferrable AHS Home Warranty offered. Dont miss your chance to own this amazing home!